The first part of the book, titled "A Thousand-Branched Tree" covers the history of India's scientific minds and scientific discoveries, the vast reach of India's culture that pervades most of the world today, its contributions to art and culture, and its deep sense of respect for nature - yes; green was cool in India a few thousand years before the rest of the world discovered that annihilating the environment was, to put it mildly, not a good idea. The second part then treads ground close to the present, and is titled, "Indian Culture at the Crossroads". 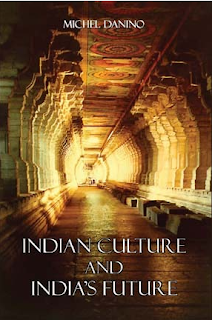 This section covers the problems facing India and its cultural identity, and its causes. The final section is "India and the World". This section looks at the distortions, stereotypes and outright lies that have been used to malign India. Note that there is enough material that is likely to be offend people with sensitive sensibilities. Leftists, liberals, and communists for one - the historical kind, the ones in the media, and the ones with pretensions to intellect, since they have been at the forefront of the admirably successful campaign over the past several decades to run down India and its culture. However, when arguing with the wind of facts at your back, the proper response should be introspection from those so offended, not invective. There has also been a concerted effort by some in western media - a very smartly choreographed drama - that utilizes oft-repeated lies, a selective use of distortions, and a glib overlooking of evidence and contrarian evidence. The most pernicious example is the persistent perpetration of the fiction that there was a so-called Aryan invasion of India. But more on that in a future post. This book can be read from cover to cover in three hours or so. I recommend that people interested in and who care for India would be well advised to spend these few hours in this book. They will be amply rewarded and enriched by that time.
. a notion that the moon and planets are not self-luminous but actually reflect sunlight. In contrast, "In the seventeenth century, Archbishop James Usher revised those calculations (not the Indian calculations) and proposed that the universe had been created in 4004 BCE, a belief that prevailed until Darwin." [pg 34]. Lest the enlightened mind think that Aryabhata was a lone flash-in-the-pan in the wilderness of Indian scientific thought, there is more. The single greatest mathematical concept of all time has to be the decimal place value notational system, and it was developed in India. [O Surya] you who traverse 2,202 yojanas in half a minute. India's contributions were not limited to contemplations on the universe and the world. They extended to outside India too, in the form of commerce for instance. The ancient Iranian port city of Siraf (modern Taheri) was entirely built with Indian teakwood. Chapter 7 is titled, "The Gita and the Problem of Action". This holy song of the Lord has inspired Indians to action and has acted as a guiding light for millions over the millenia. The Independence movement was no different. It is then little surprise to read what so-called Indologists like Wendy Doniger have to say about the Gita. Genuine philosophers like Sri Aurobindo, Swami Vivekananda, and countless others, on the other hand, saw in the Gita much enlightenment. I owed a magnificent day to the Bhagavad-Gita. It was as if an empire spoke to us, nothing small or unworthy... It [Vedic thought] is sublime as night and a breathless ocean. As an aside, J. Robert Oppenheimer, often called "the father of the atomic bomb", remarked that the first atomic bomb test "brought to mind words from the Bhagavad Gita: "Now, I am become Death, the destroyer of worlds."" In the third section, the author points out several incongruities that arise if you compare Indian literature and the doctrine of hatred and division sowed by English colonialists, missionaries, and more recently by communist historians. It is perhaps so often overlooked that "distinctiveness is not separateness." Again, the terrible lies that "India's numerous tribes never had anything to do with Hinduism until it was 'imposed' upon them by Brahman 'missionaries'" is not borne by facts. It perhaps does not require repetition that the problem is not with the religion, but with those who have misused and misrepresented religion and the name of religion for their own selfish ends. The author also laments the ubiquitous practice of self-censorship followed by historians in India. This is supposedly done "for fear of offending today's Muslim Indians. Yet the latter are no more responsible for them than today's Germans are responsible for Nazi atrocities." In the words of the author, "Marxist historiography is in many ways the inheritor and continuer of the colonial, Eurocentric view of India, although in a new garb. ... it finds no intrinsic or endearing value in Indian civilization or in its contributions to humanity." This book, as I said at the beginning, is a short read. The writing style is engaging and simple. The organization of the chapters is logical and each chapter is focused on a theme or single topic, and therefore easy to follow. There is a rich list of references at the end of the book. This book should help educate Indians about the unsurpassed richness of their culture and heritage, its scientific spirit that has fostered innovations for thousands of years, and also of the challenges facing Indian society, which is under stress from several quarters. The need of the hour is to raise awareness among the youth to these issues.